We survived the zombie apocalypse, but how many of us are still haunted by that terrible time? We have (temporarily?) defeated the living dead, but at what cost? 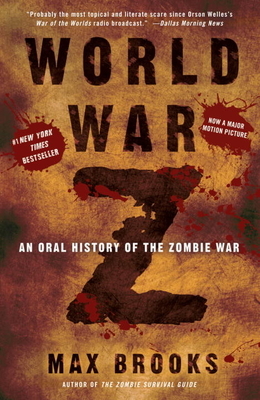 Told in the haunting and riveting voices of the men and women who witnessed the horror firsthand, World War Z, a #1 New York Times bestseller and the basis for the blockbuster movie, is the only record of the plague years. "The Stud Terkel of zombie journalism," MAX BROOKS is also the author of the New York Times bestsellers The Zombie Survival Guide and The Zombie Survival Guide: Recorded Attacks. formed the core of the world’s civilian survival manuals during the Zombie War.